Is the Cleveland Cavaliers Remain the Favorite in the East? NBA - The 3 – time and defending Eastern Conference Champion Cleveland Cavaliers is currently in big trouble of not reaching the NBA Finals this year after struggling early this January, the East champion has loosed 8 of their last 10 games dated back on Christmas day and currently have a 4 – game losing skid. Despite the struggles the Cavaliers remain the 3rd best team in the East with 26 wins and 17 losses, but in danger of losing the spot to the hottest team in the East the Miami Heat if they can’t find any right solution to win a game. In the Cavaliers recent 4 – game loss, 2 of them are all blown out game, suffering back to back worst loss of the season to a team that a legit contender of reaching the NBA Finals. The Minnesota Timberwolves beat them by 28 points and when everybody is expecting that the Cavs will bounce from a humiliating loss on their next game against the Toronto Raptors? The Raptors dominated them handing their worst loss of the season by beating the Cavs by 34 points. On the next game against the Indiana Pacers at Bankers Field, the Cavaliers are in a mission, dominating the Pacers enjoying a 22 point lead early in the game, but the struggles showed up again in the 2nd half and the Cavaliers fade away in the latter minutes of the game and eventually lose the 3rd straight game and lastly to the defending champion Golden State Warriors where they lose by 10 points. Now, Cleveland fans and followers are thinking if the defending East Champion will find a way to pull out in their struggles just like last year and the year before? Although this time there is no Kyrie Irving that could help LeBron James to flip the switch and became a legit contender to the Warriors? While Cavaliers critics think that the Cavs might not even past the Raptors or the Boston Celtics when playoff time comes the way they play this January 2018 and having the 2nd worst defense in the league? 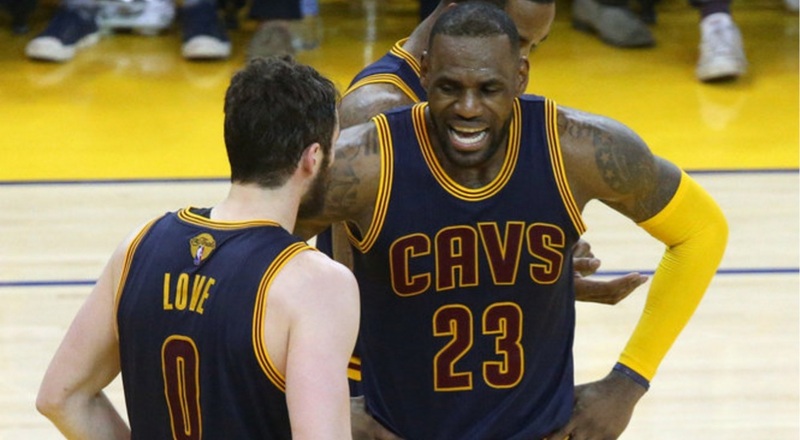 What could be the fate of the Cleveland Cavaliers this season? Can they reach the NBA Finals or worst loss to the East playoff this year? No Comment to " Is the Cleveland Cavaliers Remain the Favorite in the East? "